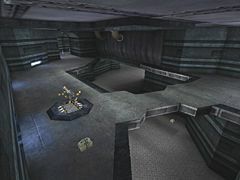 UT2003 remake of Coret Facility by Alan 'Talisman' Willard. 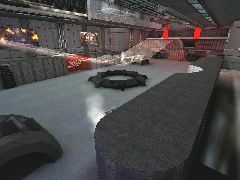 I've tried to find a compromise between the retail UT2003 maps, which are gorgeous, and one of my favourite levels from Unreal Tournament which is extremely playable. 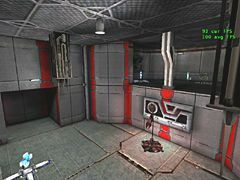 Hopefully a side effect will be that the map will run well on machines towards the lower end of the UT2003 system requirements. The layout is tweaked from the original version to take into account the increased speed of UT2003 and the new dodge and jump moves. Certain areas are more open to allow extra room for these - others are more closed to allow defenders a chance against fleeing flag carriers with Speed adrenaline. I know I won't be able to please everyone, but this is my homage to Coret Facility - hopefully you will find it fun to play.